Hi again, we did not have internet until last night...and my family took me out to dinner for my birthday yesterday...needless to say I did not get around to posting, but here I am, finally. Our internet is actually not fully working, it was our wireless router that went out, so my computer is the only one hooked up to the internet, this weekend we need to get a new router, which we will get done. Thank you all for your kind thoughts and prayers, things, sadly have gone from bad to worse, and I pray each day for our family member who is struggling right now, your continued thoughts and prayers are most appreciated. Now how about some blog candy details? Go here by Thursday, 10 pm, leave a comment answering this question, "What was the last thing that put a smile on your face?" Susana is giving away all sorts of GREAT things, so hurry by to leave a comment. Susana's Custom Art and Card Design is a fantastic store, and Susana is an amazing lady, not only is her store stocked with great products, she makes sure your order is sent as soon as she gets it! And the Blog Hop will be on Friday (my post will be up at 4:00 am, est), and ladies....the stamps are simply amazing! This is a new release by Victoria Case called "Hearts and Hugs," and you are going to LOVE these stamps! All of them are "keepers," and on deeply etched red rubber (I have to admit that I am prefer rubber to the clear cling stamps). The stamps will be available for purchase on Friday, check this link for purchase information. Copic Storage: I love these very affordable storage towers for Copics, will have to figure out how I can rearrange my area to incorporate these into my work space. Water Based Marker Tutorial: If you do not have Copics or distress ink check out this tutorial (heck, even if you HAVE the other things, check out this tutorial) to see how to get some amazing results with water based markers! 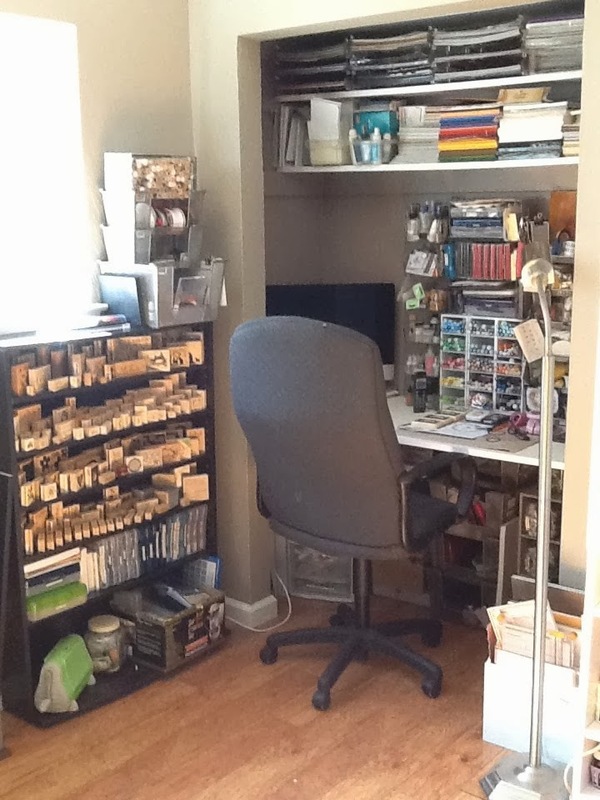 Paper/Craft Storage: This is a GREAT ebay seller who makes wonderful paper storage (I need to buy one of his towers, my plastic cubes are the leaning tower or pisa). All sorts of paper storage, ink storage and more, prices are reasonable, he will customize some items if you ask him, the only downside is that shipping is a bit expensive, but truthfully worth every penny. I am saving up for one of these! Building a design with bracket stamps: Love how this person uses the bracket stamps to make all sorts of new designs (and who doesn't want to be able to have multiple uses for stamps?). Ok, that is it for now, sorry that I had to post this so late this week. Now, don't forget that the blog hop is this Friday and if you want to be entered to win the blog candy you need to leave a comment on the SCACD blog by Thursday, 10 pm. Have a great day everyone, see you again real soon, and thank you for your prayers and thoughts. Thank you for doing your blog - you are so helpful with all the tips! I really appreciate your time and efforts to let the rest of us know really GOOD stuff! Hi Jacquie, Woohoo! Another great Tilda from you! She is just too dang precious! My current smile is the direct result of dh making me a 4 x 4 rack for my punches...............as we speak! We don't have an Ikea near here so...reg rods will work. Can't wait to see it!